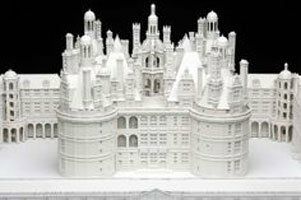 If there's one industry where desktop 3D printing is a revolutionary tool, it's the architecture industry! 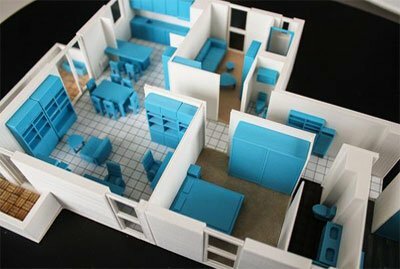 Whether it's the architecture, interior design or building industry, in general, these professions understood long ago the important contribution that 3D printing can have in their business and organisational approach. What used to be managed by model makers or by 3D printing services is now efficiently manageable in-house at a lower cost with a desktop 3D printer adapted to architecture. 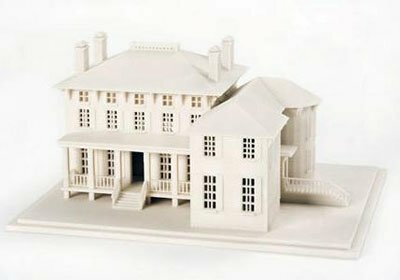 Equipping yourself in-house with a 3D printer for architecture and building provides many benefits, such as a drastically reduced costs, reduced prototyping time and a high degree of responsiveness to adjustments: in summary, a considerable aid in customer acquisition and project management. If drawings and CAD are the basis of the design of your architectural projects, they are essentially tools for the earliest phases of your projects, and intended more for your employees than your prospective clients. 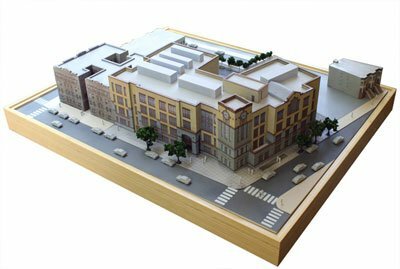 Indeed, the need for your prospective client to understand a project with a physical model is vital. Especially since some people simply have trouble imagining real volumes based on a drawing, plan, or digital 3D model. 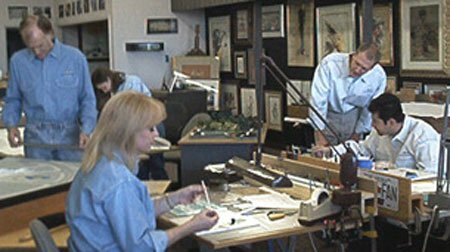 Therefore, being able to offer future clients, as far upstream as possible, a physical model will be seen as a guarantee of responsiveness and professionalism. 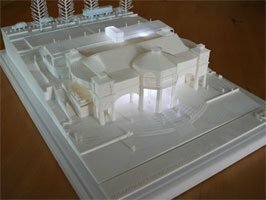 3D printing is an essential tool for architects in the preliminary stages, and undoubtedly helps turn prospective clients into clients. Configuring the pieces for printing in the software supplied with the printer. This is a task that should not take more than 2 to 5 minutes per "batch" (knowing that many pieces can be printed in one batch). Starting the printing on the 3D printer. The overall design time, including the machine time, could be divided by 5. So, the interest in offering a prospective customer a model five times faster than when using a traditional manual method and manual design of the model (cardboard, wood, Plexiglas, foam, etc.) is quickly apparent. If we now compare the time between in-house design for your 3D prototype and design done by a 3D printing service provider, the differences are less noticeable, and perhaps even favour the printing service. Printing services are actually equipped with many industrial machines that can quickly print large volumes. However, this will also depend on the number of machines that you have equipped yourself with. Nevertheless, printing services remain, in most cases, the best guarantee of a design in the shortest time possible. However, that comes at a cost, and it is not negligible! Cost is generally the most attractive point when someone wishes to equip themselves with a 3D printer in the architecture industry. 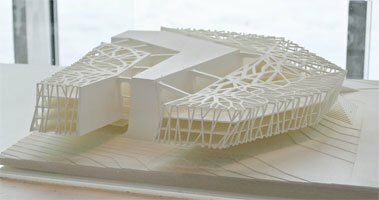 To get an idea of the profitability of a desktop 3D printer for architectural projects, we compared the production cost of a 3D model printed in-house and the billing of a printing service. The differences are simply incomparable. We considered a project such as Public Building One (left photo), which you can download for free on Thingiverse.com. On the side of the 3D print service provider, given the number of pieces and their volume, it would not cost you less than €3,000 for this project. In terms of manpower, we can consider that it would be necessary to spend about fifteen hours on this project. Considering an hourly rate of €30, this brings the total to €450. For the depreciation of the 3D printer, let's consider the purchase of a printer for €2,000. And let's assume that you will use this printer for 4 years, at a rate of 20 kg of material per year. In this case, in terms of depreciation, this project will cost you €75. Creating models using traditional manual methods generally does not allow you to obtain details as fine as those you can obtain with a desktop 3D printer, at least not within a reasonable time. 3D printing has the advantage of being extremely accurate and allowing you to print extremely complex shapes and geometries. This way you are not limited in the design of your prototypes by conventional forms, and you can allow yourself to dream up the wildest projects. The 3D printer is, consequently, a powerful tool to stimulate innovation insofar as anything you can imagine can be printed, quickly, accurately and economically. For architectural prototypes, the most suitable material by far is PLA, whether your prototype has many pieces to assemble or is in one piece. Indeed, PLA has the advantage of being extremely easy to print, stiff and very stable in terms of dimension conservation, which makes it ideal for assemblies of non-mechanical pieces. As far as constraints are concerned, PLA is more brittle (because it is stiffer) than other materials, and has poor resistance to outdoor exposure (humidity, high temperatures). But these constraints do not apply in the context of prototyping for architecture. 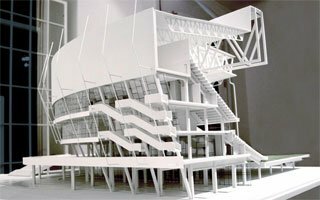 But architects may have to use different materials depending on the parts of the model to be printed. There are materials filled with wood (for trees, fences, wooden constructions, etc. ), stone, if you want to give your models such a rendering, and various metal composite materials (bronze, copper, brass, carbon, etc.). Other materials have the property of being translucent, which can be useful for printing glass walls on the architectural model. You just need to make sure you equip yourself with a multi-purpose 3D printer in order to be able to print these materials. Also remember that materials such as PLA can be easily sanded and painted. You can, therefore, choose to keep a prototype printed in white (for example), or add all the desired colours or details to it afterwards. As an architect, you will look more at the print volumes and level of detail that can be offered by the printer. 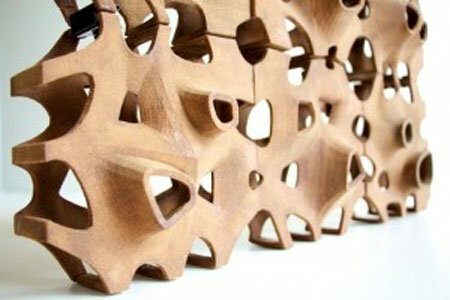 Its ability to print a variety of materials can be a plus if you are considering printing wood, stone or metal materials, for example. 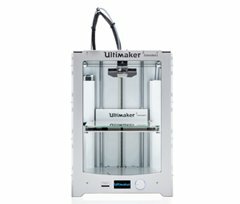 The Ultimaker 2+ range provides the highest accuracy on the market for a fused deposition printer. The Extended+ version additionally allows you to benefit from a large print print volume over 20 x 20 x 30 cm. It has also the ability to print all materials. 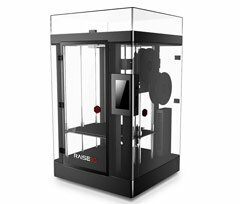 The Raise3D N2 Dual Plus 3D printer offers a very large print volume, a real plus for printing architectural projects. In addition it has an excellent maximum precision (10 microns). 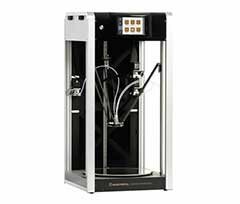 It is fully enclosed, equipped with a double head, and it can print all materials. 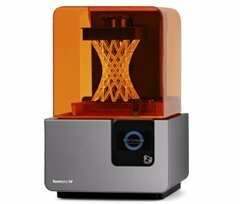 The Form 2 by Formlabs is a stereolithography printer (laser resin). This technology makes it possible to enjoy a level of detail that's unrivalled by fused deposition printers. It will be the perfect ally for all your most detailed pieces. The Pharaoh XD Plus Dual offers a good print volume and dual extrusion, allowing architects to print difficult projects with soluble materials. A 'Delta' 3D printer make prints more smooth, with better accuracy and it manage very well overhangs.